The January reading takes place on Saturday 21st in Glór at 2.00pm sharp and will run until 4.30pm. The guest poet is Grace Wells. Grace Wells' debut collection of poetry When God has been Called Away to Greater Things, won the 2011 Rupert and Eithne Strong Best First Collection Award and was short-listed for the London Fringe Festival New Poetry Award. Also published as a children's author, her novels include Ice-Dreams and Gyrfalcon, which won the Eilis Dillon Best Newcomer Bisto Award and was an International White Ravens' Choice. She reviews Irish poetry for the University of Chicago's online literary journal, Contrary, and for Poetry Ireland Review and The Stinging Fly. For many years Wells has worked in arts administration and facilitated creative writing workshops. 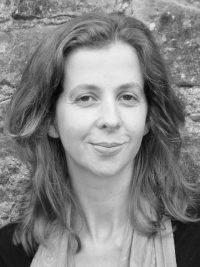 She is currently mentoring local writers on behalf of Kilkenny County Council's Arts Office and Library Service, and in Dungarvan Arts Centre for Waterford County Council.